Sameer Gaud is Associate Director – Investment Banking at Intellecap. 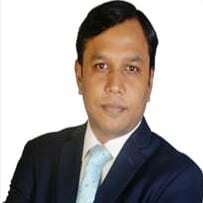 He has more than 13 years experience in varied roles in investment banking and corporate finance. He successfully led transactions for leading Indian corporates across multiple sectors including healthcare, consumer and infrastructure. Prior to joining Intellecap, he worked with firms such as KPMG, Edelweiss, Morgan Stanley and PwC. Impact investments in India grew by double digits between 2010 and 2016, and are expected to reach US $8 billion by 2025. But the on-the-ground reality is not so rosy. Investors are flocking to financial services and larger-scale companies, while early-stage enterprises and impact sectors such as agriculture, health care and clean energy face a funding gap. While there is no secret sauce for changing this dynamic, Gagandeep Bakshi and Sameer Gaud at Intellecap offer five guiding principles to help social enterprises with successful fundraising.